This post began as a standard news post. 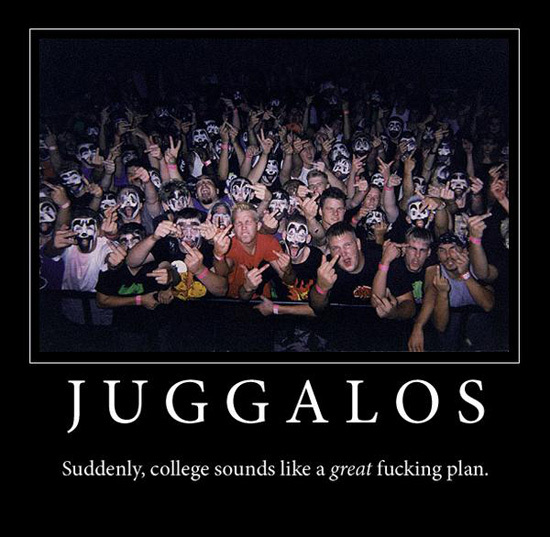 You know, I talk about how something happened somewhere, why it pertains to atheism, why I think it’s relevant, maybe make fun of some Juggalos or whatever, and then move on. But as I began researching more into the story I was going to initially focus on, I noticed a response to the particular religious practice in question and how other people who were strict adherents to other religions felt more than comfortable dismissing the supernatural nature of the first religion as obvious nonsense. Tribal baloney. Antiquated mysticism. And it reminded me once again about the double standard that many religious people employ when it comes to the beliefs that other religious people – and even non religious people with supernatural beliefs – hold. His first victim, a 16-year-old girl known as Victim A, was sold by her uncle in Nigeria to two men and forced to undergo a black magic ritual. The process, part of a belief system called juju, involved her body hair being shaved off and her flesh being cut, before she was shut in a coffin. Afterwards the girl was forced to prostitute herself, and was then taken to the UK in May 2009, being told that if she tried to escape the juju gods would kill her. She and another girl eventually escaped and the man was caught and sentenced to 20 years in prison. Juju is an aura or other magical property, usually having to do with spirits or luck, which is bound to a specific object; it is also a term for the object. Juju also refers to the spirits and ghosts in West African lore as a general name. The object that contains the juju, or fetish, can be anything from an elephant’s head to an extinguisher. One of the most popular juju objects in West Africa, for example, is a monkey’s hand. In general, juju can only be created by a witch doctor; few exceptions exist. 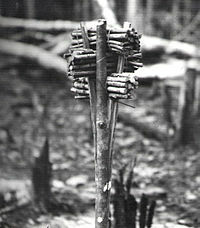 Juju can be summoned by a witch doctor for several purposes. Good juju can cure ailments of mind and body; anything from fractured limbs to a headache can be corrected. Bad juju is used to exact revenge, soothe jealousy, and cause misfortune. Contrary to common belief, voodoo is not related to juju, despite the linguistic and spiritual similarities. Juju has acquired some karmic attributes in more recent times. Good juju can stem from almost any good deed: saving a kitten, or returning a lost book. Bad juju can be spread just as easily. These ideas revolve around the luck and fortune portions of juju. The use of juju to describe an object usually involves small items worn or carried; these generally contain medicines produced by witch doctors. 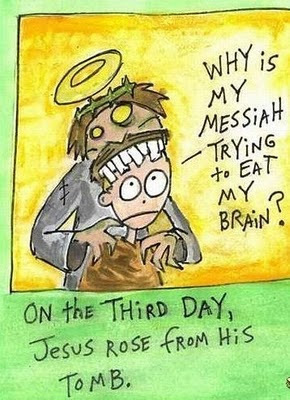 Sounds like a bunch of woo and hooey to be sure, but in my mind this makes no more or less sense than an elephant god created from dirt or a zombie savior who is his own dad. The fact that this man used juju in order to control these young women and frighten them into submission says about as much about the validity of West African religions as Phillip Garrido’s behavior (and his intense Christianity-based faith obsessions) said about Christianity. The point is never to pick the craziest or most horrible examples of an adherent and claim that they are the reason why none of what they believe is true. However, when one woo-tribe begins to criticize another woo-tribe because of the differences between their particular brands of supernatural absurdity – that is where the double standard becomes clear. God says that the works of the flesh are adultery, fornication, uncleanness, lasciviousness, idolatry, witchcraft, hatred, and so forth. (Gal 5.19-20.) Witchcraft is right in there with adultery, uncleanness, and hatred. It is bad! But forbidding something and calling something out as blatantly ridiculous are not the same thing. The idea that juju is any more (or less) ridiculous than any supernatural claim found in Christianity, Hinduism, Buddhism, Jainism, Paganism or whatever religion you’re comparing it to is an inconsistent position. A person who believes in a polka dot dragon living on the moon is no more or less silly than a person who believes that tin foil hats will block radar machines designed to steal thoughts from your brain. Even if a polka dot dragon actually were found later to be inhabiting the moon, the belief in such a thing without evidence makes absolutely no sense until the evidence exists. The same is true for gods, ghosts, or any other bit or supernatural conjecture. All woo ought to be treated equally – and be equally ignored as rubbish. 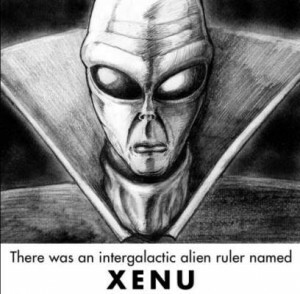 The picture above of Xenu was drawn by Rick Vodicka. Check out his awesome Illustrated History of Scientology here. But forbidding something and calling something out as blatantly ridiculous are not the same thing. I’d say that things don’t get banned when they’re ridiculous; they get banned when they’re dangerous (or perceived as dangerous). The Biblical prohibition on witchcraft feels, to me, less like a “don’t do that silly thing because it doesn’t work” and more like a “Hey, don’t you go using our competitors’ services!”. 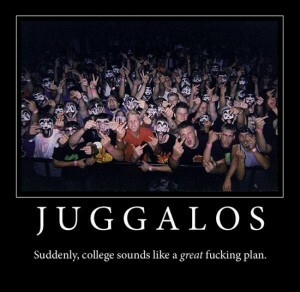 That’s exactly what it is. There’s a reason why the first commandment is about brand loyalty, and all the stuff about not killing and yadda yadda is further down the list. Speaking of gayness and prohibitions, Leviticus is still my favorite. I have been known to wear different fabrics together, and even to plant two different seeds in the same cube of potting soil- unclean! Unclean! And lest Christians forget that God love barbecue, don’t forget that while the priests can eat bits of sacrificial meat, they can’t have any of the fat- all of that must be burnt on the altar because it’s smell is pleasing to God. No juju there, nosiree! Of course you wouldn’t use radar to read someone’s thoughts. You have to use transcutanious electrodes (in-brain ones are illegal unless placed there during another, medically necessary operation). And you can only read simple things like “Yes” and “No”. And the user has to make an effort to get the computer to understand them. 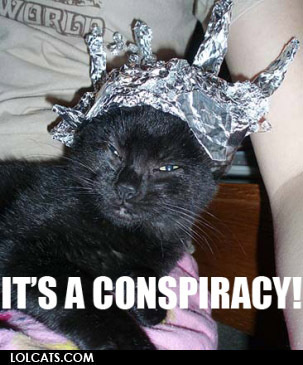 Though, to be fair, a tinfoil hat would be extremely effective at making sure the electrodes couldn’t detect anything besides a short-circuit.